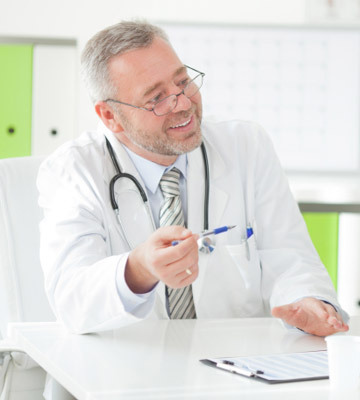 It is a rare occasion when doctor prescribed estrogen hormone therapy side effects occur when a person with working with the professionals at Greenberg Health. However, they can happen. This is why it is wise to be aware of what they may be. If negative reactions to the medication do occur, our doctors can easily and quickly change your dosage to stop the issues and to help you to feel great. Here are the most common side effects of estrogen replacement therapy. If any of the below issues happen while you are taking your medication as prescribed, please let us know immediately. The above list contains the most common side effects of estrogen therapy. If any one or more of the issues do occur while you are under our care at Greenberg Health, we are right here to help you. It is very important to let our professionals know if you are dealing with any of the issues listed above right away so that our doctors can adjust your dosage as he or she sees appropriate. Never allow estrogen therapy side effects to continue on without letting our specialist know because something small (as it may seem at first) can turn into something more severe. It can be very easy to get rid of the problems quickly, however. Just call us using our toll free phone number. Our doctors will manipulate your medication dosage to one that will not be the cause any estrogen replacement side effects; only positive changes to your mind and body for a greater quality of life. However, if you are using our HRT clinic, our doctors can make sure to give the right dosage for a perfect balance of hormone medication to create positive change. The licensed physicians will be overseeing your progress by providing medication supervision from your first day of therapy and all throughout your treatment. Our doctors will write accurate treatment plans that patients must follow exactly. There is no room for error or changing your own dosage, thinking that you might need more or less medication. That is up to the doctor and one should never make a change without consulting with us first. If any negative estrogen hormone therapy side effects do happen for some reason or another, let us know and we will very quickly change your prescription. Eat a nutritious diet filled with foods high in protein, omega 3 fatty acids, fruits, green leafy vegetables and lean meats. Stay away from refined sugars and too much saturated and trans-fats foods. Exercise on a daily basis. Keep the body moving. Get your heart pumping every day with aerobic activity and continue to build muscle through weight training. Keep your stress levels to a minimum. Try not to let small things bother you. Learn how to deal with stressful situations by learning relaxation techniques and time management skills. Take care of your body with moderate alcoholic consumption only, if any.